Queen Victoria was devastated by the death of her beloved husband, Prince Albert, in 1861. 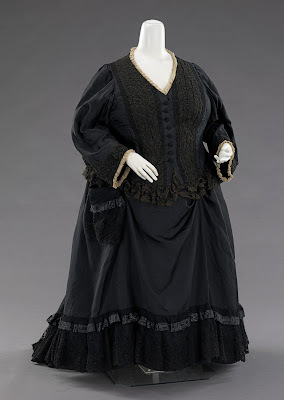 It was traditional in victorian England for widows to wear mourning dress for two years. In the first year – “full mourning” – widows wore all black. In the second year – “half mourning” – black predominated, but a small amount of purple or white was acceptable. Victoria was made of sterner stuff than the typical British widow. She mourned Albert for the remaining forty years of her life. I’m not sure how many British or American widows of that era followed Victoria’s example and mourned for forty years, but there’s no doubt that the Victorians took mourning very seriously indeed. Some Victorian mourning traditions were downright weird. When someone died in a house, any clocks in the room where he or she died were stopped at the moment of the death. 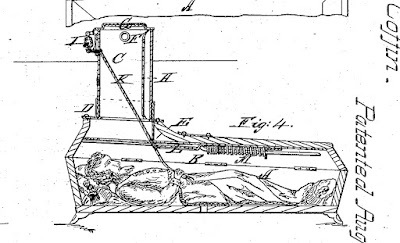 Tales of unconscious people being accidentally buried alive were legion. To prevent this, a bell was mounted on the headstone and a chain was attached to the bell and the corpse’s finger so that the dead man or woman could sound the alarm if he or she suddenly regained consciousness while six feet under. 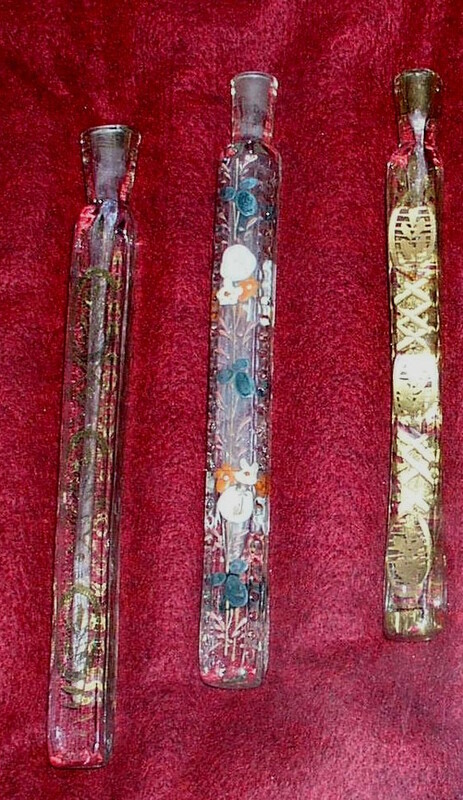 One Victorian funerary custom I only recently learned about was the use of lachrymatory vials, or tear bottles. Mourners were given small, decorative vials and would shed tears of grief into those vials, which would be kept close by until the tears evaporated as a reminder of the dead person. The Victorians probably didn’t invent tear bottles. Glass blowing was invented around 100 A.D., and it appears that Romans mourners of that era may have wept into tear bottles and then placed them into the deceased’s tomb. Some even believe that David’s words in Psalm 56:8 – “Thou hast taken account of my wanderings; put my tears in Thy bottle” – indicate that lachrymatory vials existed a thousand years before the birth of Jesus Christ. I’m not sure what the capacity of the typical tear bottle was, but I’m guessing that it would have held 96 tears. The members of ? and the Mysterians were the children of Mexican-American farm workers who moved from Texas to central Michigan. 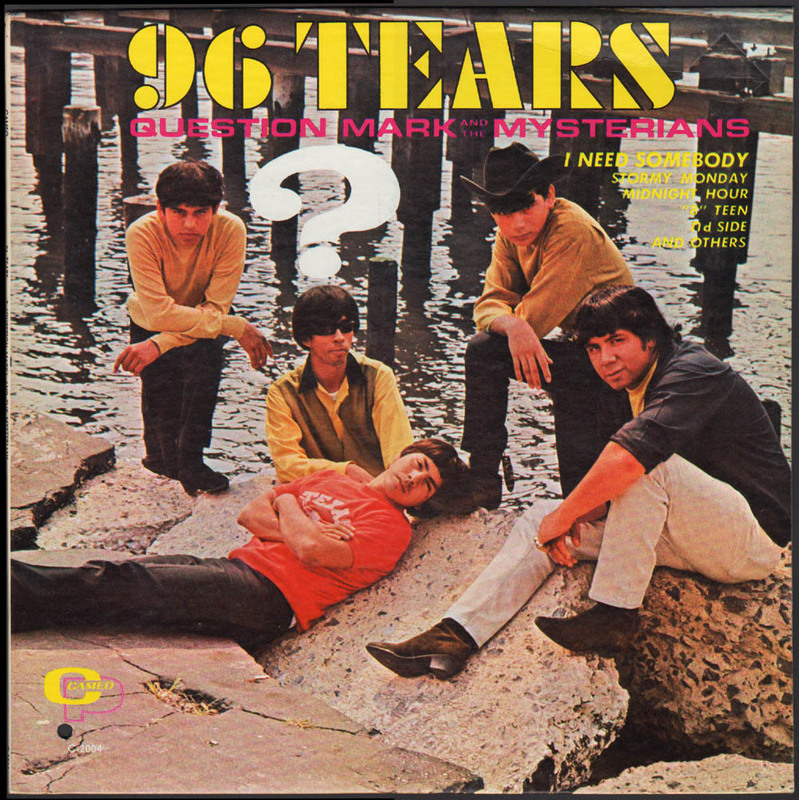 “96 Tears” was originally recorded by the small local Pa-Go-Go label, but was eventually picked up by Cameo Records, a big Philadelphia label. 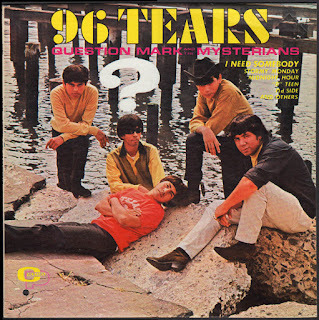 With the help of Cameo’s national distribution network, “96 Tears” quickly climbed to the #1 spot on the Billboard “Hot 100” in September 1966. No record ever used the Vox Continental organ to better effect. I’m proud that I grew up in a country where a crude and unsophisticated single recorded in a basement studio in Bay City, Michigan, by a bunch of farmworkers’ kids could make it all the way to #1 and eventually be certified as a gold record. New to "2 or 3 lines"? If you are new to this blog, be sure to read the two oldest posts first -- my introductory post ("What? Who? WHY?") and the post about "She Don't Know Why I'm Here" by The Last -- because I saved the best for first.